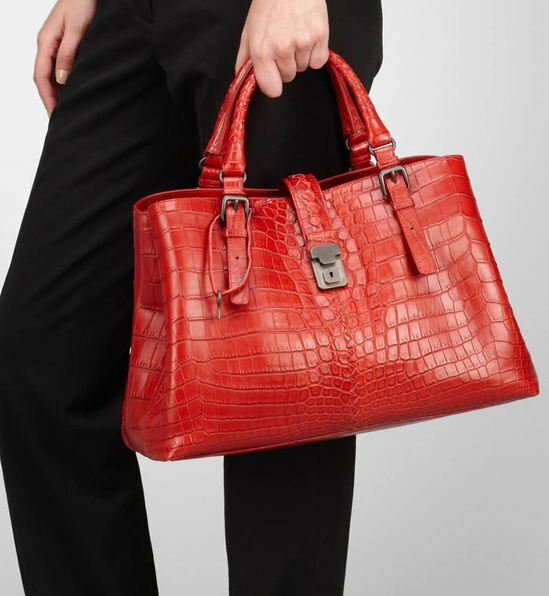 Crocodile fume bags are typical to the style of Bottega Veneta bags and we’re never disappointed by what they have to offer. 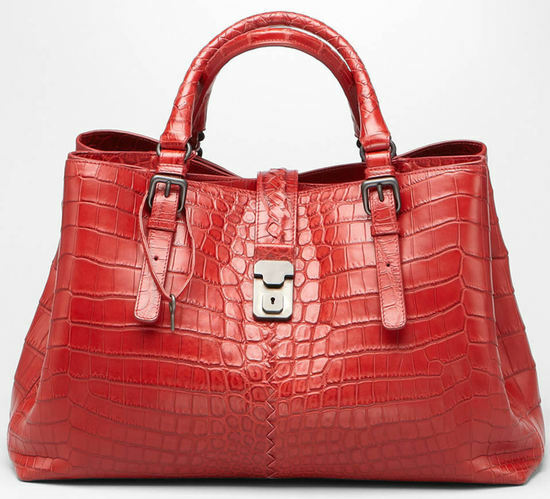 I instantly fell for the Blood Soft Crocodile Fume Roma bag, firstly for its fresh, sensual crimson color and secondly for the patchy croc texture that one would want to touch and feel on the finger tips. 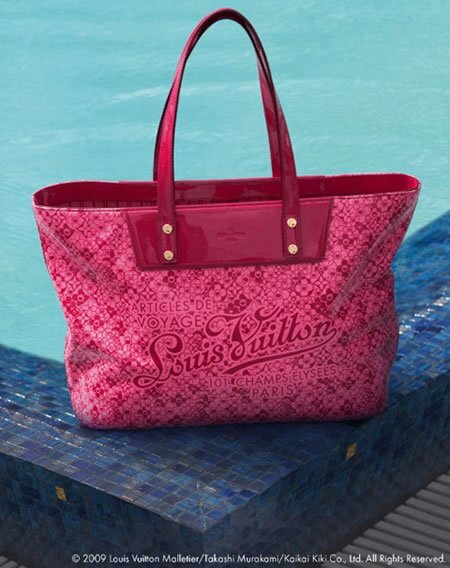 The refined bag is roomy enough with two open pockets, one zippered compartment and a lock & key closure. 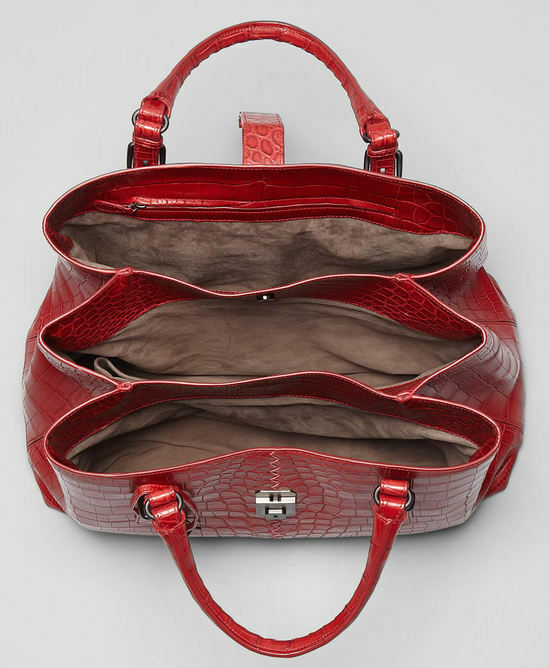 The Crocodile Fume Bag has an accordion shape that expands when you have some extra, last minute inclusions. 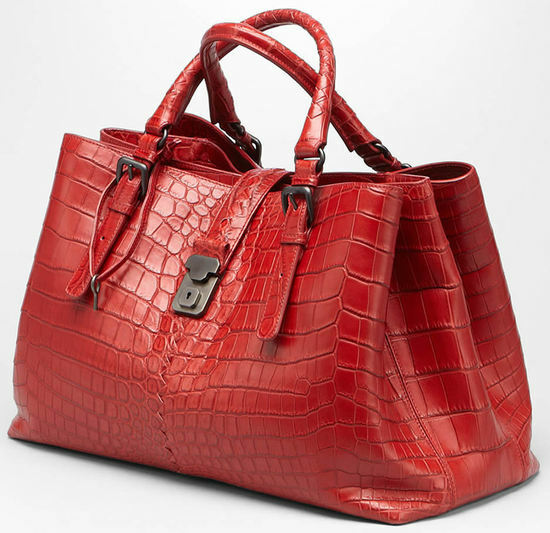 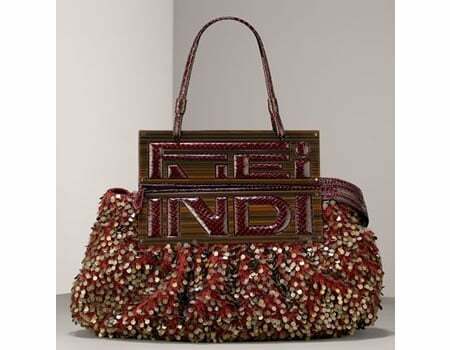 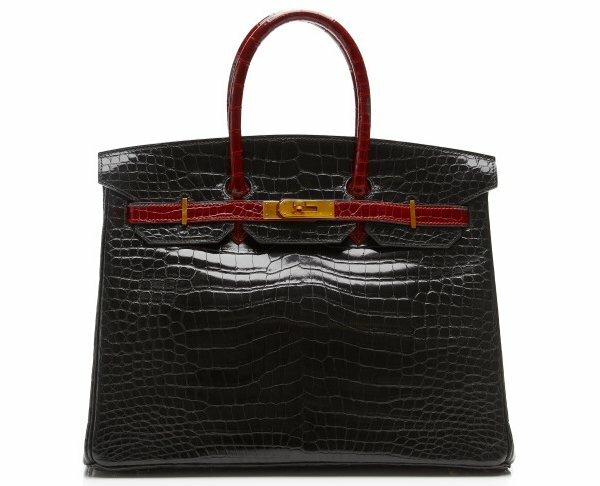 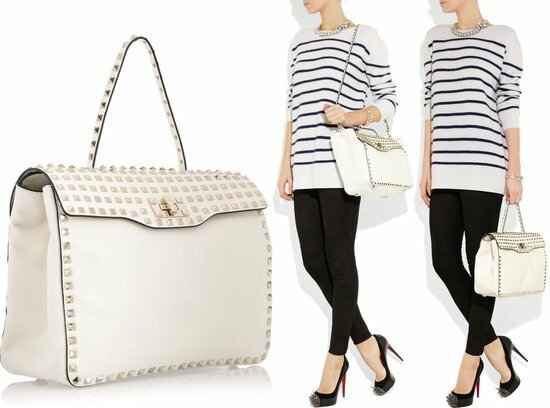 The $28,200 bag is ideal to be carried on travel, fitting all that you need to unwind on your trip.